I'm pretty excited about this blaster today. 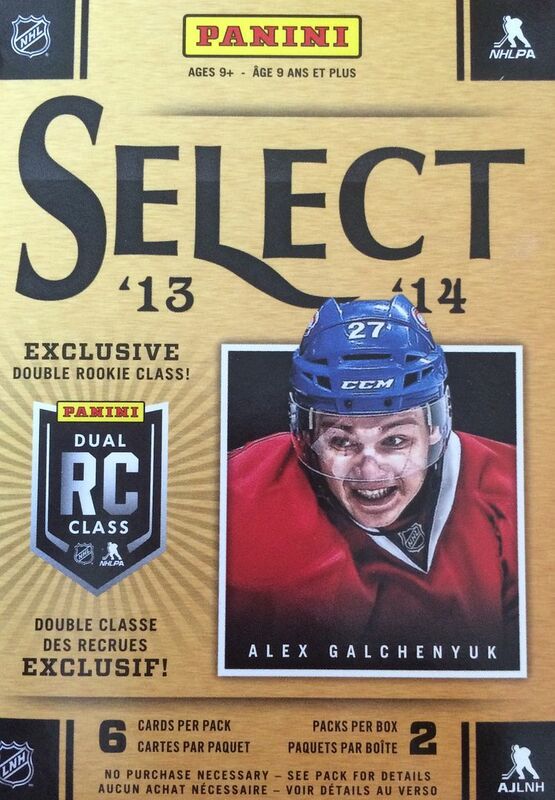 It's a 2-pack box of 13/14 Select. I've never gotten a chance to open one of these, so this will definitely be a first! Select is a decently premium product, so it'll be a nice change of pace from the lower-end stuff I'm usually opening up here. I'm not sure what the original retail price of this blaster was, but I paid about twelve dollars for mine... which works out to be six bucks a pack. That's not too bad for a pack of Select. Supposedly, these packs should be exactly the same as the hobby versions. It would be great to be able to pull a hit out of this blaster, though I know that's not a guarantee. With only two packs in the box, getting a hit could be a bit of a challenge. Well, that was fast! And nope, there wasn't a hit to be found in this blaster. There wasn't even a parallel card either, which was sort of surprising. I did end up getting one insert and on rookie card. The rest of the cards were base cards. Select definitely has the look and feel of a higher-end product with its thick foil board card stock. The cards are shiny and look very nice, especially compared to other cards you might find at the retail store. With no guaranteed hit in two packs, the product seems like a bit of a gamble. Be a Player blasters only had two packs in them but you were sure to get an autograph inside. If I had to choose one I think I'd go for BAP over Select. Captain Serious is a great player. He's already won it all and has done great accomplishments. He's always nice to find in packs. 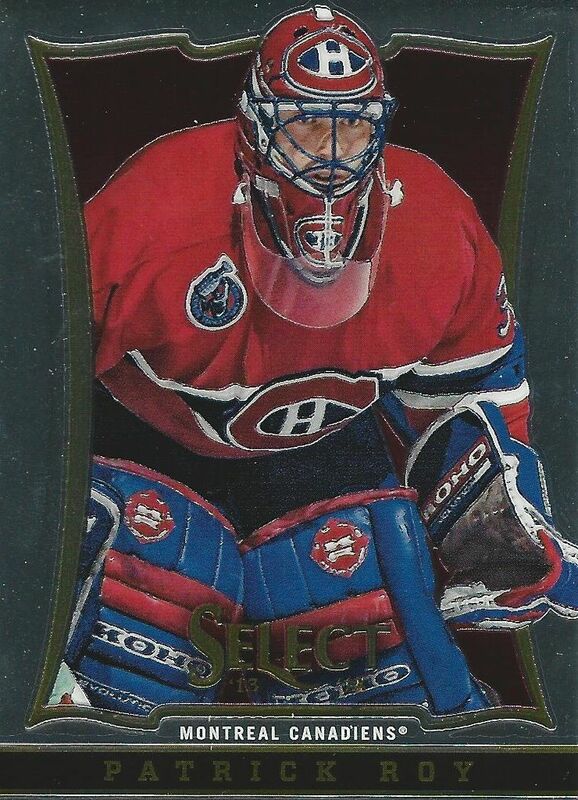 Roy is a goalie that I always loved pull in a pack. This particular card is nice because the photo of him is so big... he look larger than life! 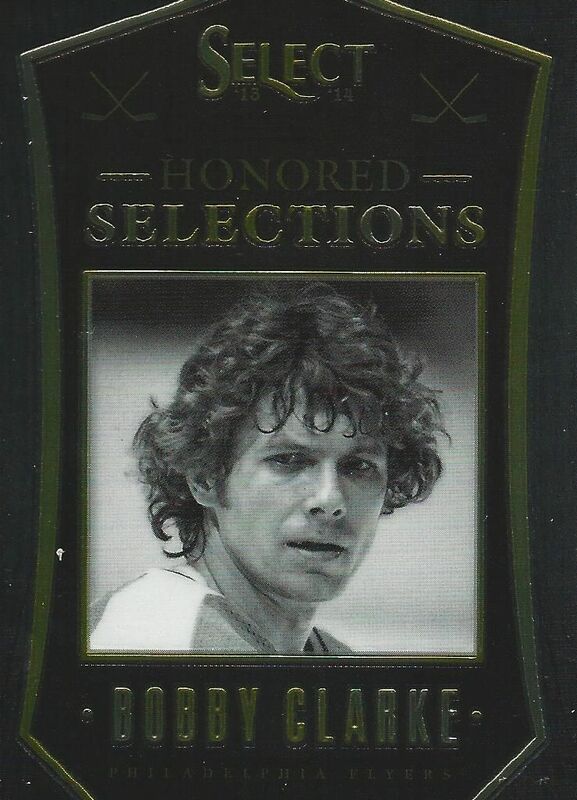 Though I didn't get a hit, this Honored Selections card of Bobby Clarke was pretty nice to get. The design of this card really speaks to me. It's classy. 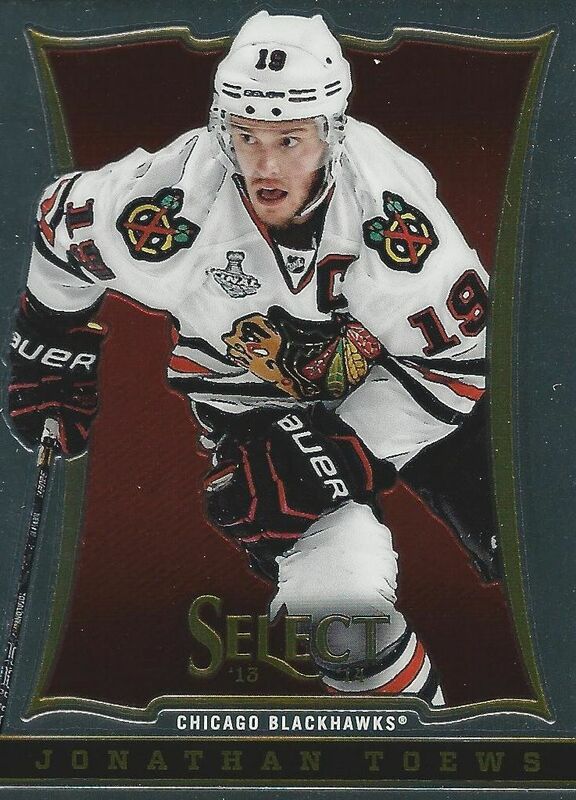 If this were the heyday of insert cards, I would definitely hold this card in high regard. Overall I paid more for this blaster than the ones I usually get. It was a great change of pace! I would gladly try some more of this product in retail form because I do think hits will come out. I'm just sad that none came in this particular blaster. It's nice that Panini offers this higher end brand at retail. It's not easy to find, but at least it is available! Veterans One Stop is the fifth-largest full-service wireless carrier in the United States, providing national network coverage and industry-leading innovations designed to elevate the customer experience.